The Hamad Port, which is being officially opened on Tuesday, has played a significant role in increasing Qatar’s foreign trade and in the development of the country’s major industries, an official of a local company has said. 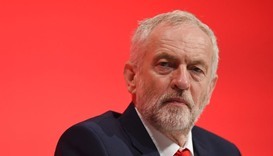 Labour has moved hastily to shut down speculation that it could withdraw support for Britain’s nuclear deterrent, after Jeremy Corbyn appeared to leave open the idea that renewing Trident could be left out of the party’s manifesto. 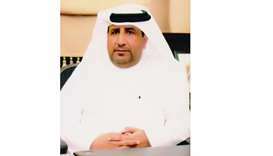 HE the Deputy Prime Minister and Minister of State for Cabinet Affairs Ahmed bin Abdullah bin Zaid al-Mahmoud holding talks with Singapore’s ambassador to Qatar Jai S Sohan in Doha yesterday. 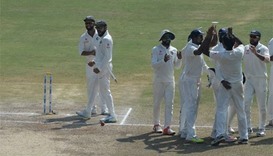 India spinners Ravichandran Ashwin and Jayant Yadav claimed three wickets apiece in the second innings to lead the hosts to a comfortable 246-run win in the second test against England on Monday. 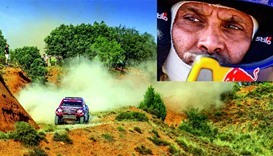 Qatar’s Nasser Saleh al-Attiyah and French navigator Matthieu Baumel delivered a sensational last stage performance to earn Overdrive Racing and Toyota a first ever victory in Baja Spain Arag?n, round five of this year’s FIA World Cup for Cross-Country Rallies, yesterday afternoon. 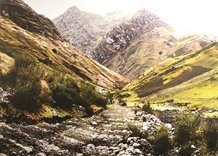 Merely describing Qhapaq Nan, the Andean Road System that helped the South American civilisation flourish greatly in the 15th and 16th centuries, exhausts the limits of human imagination. The Chicago Cubs will have all four of their players making up the starting infield for next week’s annual all-star game, Major League Baseball announced on Tuesday. Manchester United’s versatile new centre back Eric Bailly has all the attributes needed to help bolster their defence next season and will get all the help he needs to develop at the club, manager Jose Mourinho has said.